Fire up the oven to 180ºC (160ºC for fan assisted ovens), gas mark 4 and lightly grease a large ovenproof dish. Heat up the oil in a large pan and stir-fry the spring onions and mushrooms over a medium heat for 3-4 minutes, until softened. Mix up the enchilada spice mix with both sachets of the rich tomato sauce and 150 ml of hot water. Pour half of spiced tomato sauce over the spring onions and mushrooms, throw in the sweetcorn and meaty tuna then simmer for 3-4 minutes, stirring occasionally. Stir in half the cheese and cool sour cream. 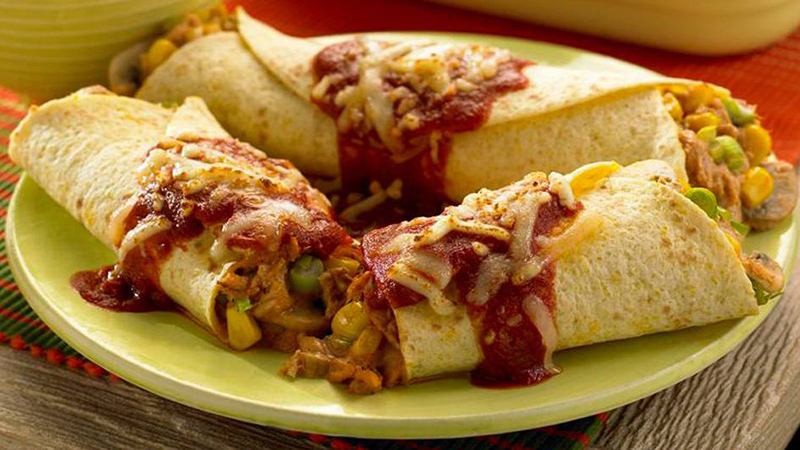 Grab a warm, toasty tortilla, spoon in plenty of tuna and mozzerella cheese in the middle and roll it up. Place the folded side down in the dish, and keep going you’re out of tortillas. Smother with the remaining sauce and sprinkle the rest of the cheese over the top. Bake for 10 minutes until golden and bubbling. 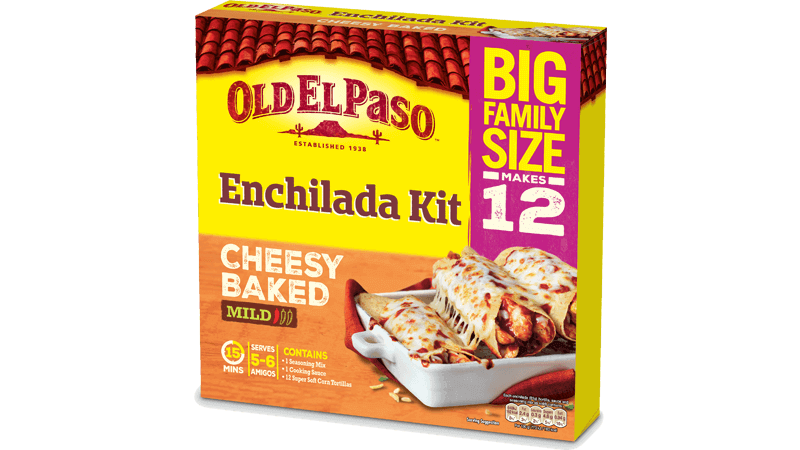 Serve the tuna enchiladas straight from the oven while it's hot and bubbling, lay it all out and let everyone get stuck in.